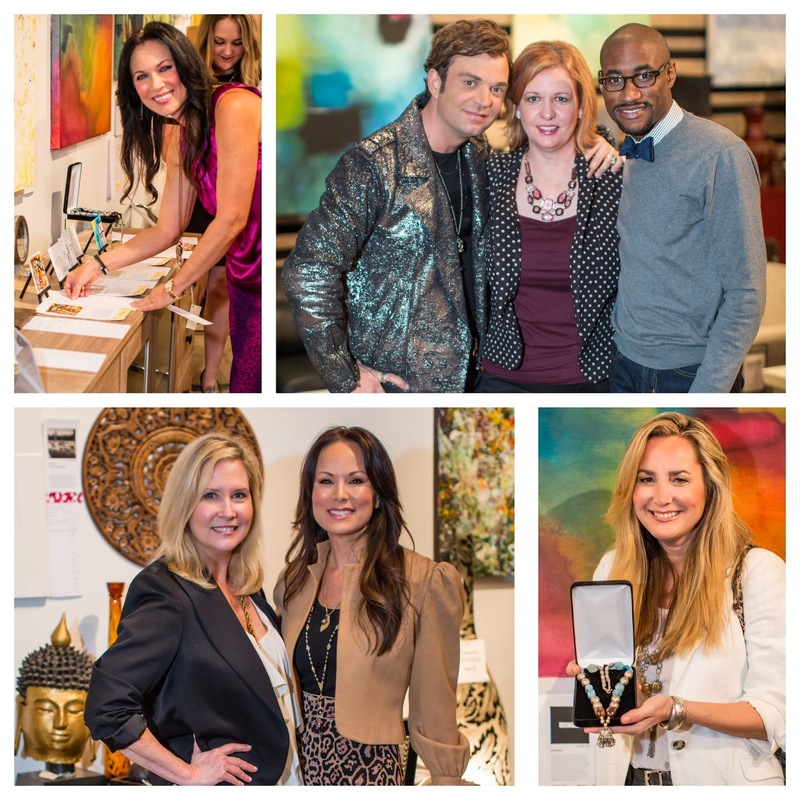 Last Thursday, Jones Walker Home provided Dallas Challenge the opportunity to preview art that will be up for bid at the 5th Annual ART FROM THE HEART Celebrity Art Auction & Benefit, a fundraising event featuring the artwork of celebrities and professional artists. This chic affair will be held at Seven for Parties in the Dallas Design District on Friday, April 25, 2014 from 7 p.m. to 11 p.m.
Attendees to the Preview Party were able to not only be the first to view select pieces, but kick off the bidding and set the tone for this year’s auction frenzy! 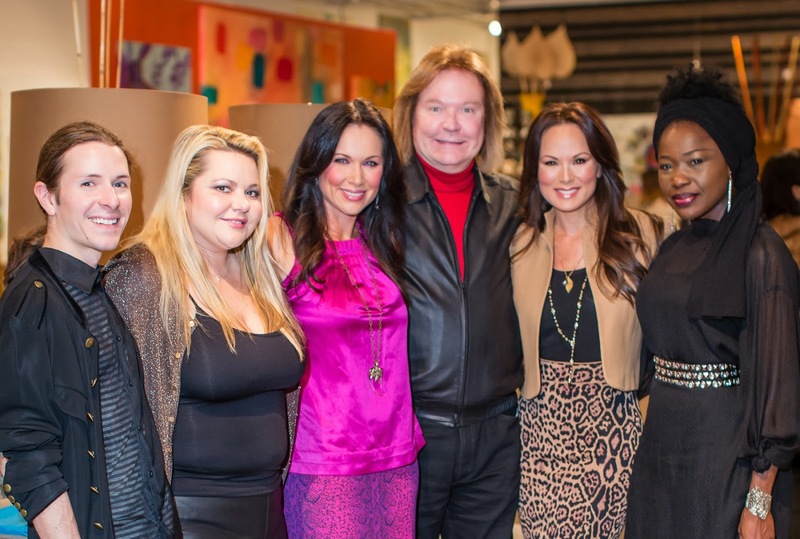 Co-chairs LeeAnne Locken and Lindsay Lee McCain played host to a crowd that included fashion designer Elizabeth Anyaa, Britt Harless of Bohem Unique Gems, Janet Fresquez, Shane Walker, Hamilton Sneed, fashion designer Charles Smith II, and blogger Tiffany Hendra. Using art as a form of therapy is based on the belief that the creative process involved in artistic self-expression helps people to resolve conflicts and problems, develop interpersonal skills, manage behavior, reduce stress, increase self-esteem and self-awareness, and achieve insight. “Adding art therapy to the individual, group and family counseling we provide enhances the program and allows the youth to express themselves in a healthy way. Sometimes they can't say with words what is on their heart, but art gives them a way to get some of their feelings out. It also allows the youth a chance to learn something new, as many have never taken an art class before. Some youth are actually talented and we use this opportunity to encourage them to peruse art instruction, ” says Vicki Keifer, Director of Development at Dallas Challenge.